There is a kind of frustration you feel when you log into a website/ blog and have to go through so much stress to find information. Really, you do not want to give your readers the trouble of looking for content when there are easier ways to make your website easily navigable. Arrange your site in such a way that makes sense to your visitors. Here are tips to make your website fun to visit. Include a search box in the same position on every page. The logo should be clearly displayed on every page and a click should take them back to the homepage. Use consistent font on every page. Use dark characters on a light background. Do not make readers scroll too long to get to the end of your page. Use headers and bulleted lists for quick scanning. Always make your blog very easy for your readers to go through and get information. They won’t hesitate to come back when you do that. With every writer, there is fresh insight, undiluted truth and wisdom for ages. Blessing’s interview is not any different. This is #WriterSpotlight. Enjoy! I am Ibe Blessing Chiamaka, a medical student of Afe Babalola University Ado-Ekiti, Ekiti state. I hail from Imo State. How long have you been writing for and what have you learnt in these years? I have always been writing since secondary school days although it was neither consistent nor fantastic. However, I actively picked up writing sometime last year and it peaked during the African Writers’ February steps. Before now, my major excuses for not writing were lack of time and things to write about. So far, I have come to an understanding that I have all the time I need only if I can spend less time on frivolities. Again and more importantly, I have learnt to see everything around me as a potential subject for my write-ups. Indeed, what to write about is everywhere around. While growing up, my mom bought us books pertaining to assorted areas of life. As the days rolled by, I discovered that my thoughts and ideologies formed on the basis of things I read about. Those words spurred in me desires, passions and hopes. The power in those words left me with no option than to propel myself towards who and what I wanted to be. I really can’t say my inspiration comes from anything specifically because most times any object, person or situation can quicken my emotions and intellect enough to make me write. You seem to love sharing your work on Instagram, what inspired it? My love for sharing my work on Instagram started during the February steps organised by African Writers. Prior to that time, I was not active on Instagram since I didn’t take lots of pictures but posting my work on Instagram exposed me to a novel idea of combining pictures with write ups. I loved the creativity and the audience it attracted. I am greatly skilled in the act of procrastination and I am abysmally willing to give it up in order to be a better writer. Apart from writing, what are your other hobbies? I enjoy crafts, cooking and reading. Have you ever been rejected as a writer, if yes please tell us about it. I have not experienced much of rejections especially because I’ve not been submitting my write-up for publications but one experience that I can remember happened during my secondary school days. I was selected to participate in an essay competition. Truthfully, I gave my time and energy to writing it. I met several superiors to proofread it, I made corrections over and over again and I was certain to at least come out successful after all I had come out tops in more challenging ones that I least prepared for. But then, not only did I not come out tops, I got a ridiculous score that made me have an utmost dislike for those figures for a while. I could not fathom what mistake(s) I made that warranted such a sad score. I decided never to participate in other competitions and immediately concluded that I wasn’t just good enough for the whole ‘writing thing’. Fortunately, I did not wear the sad demeanour for as long as I thought I would. The reason is simple. I was stuffed with encouragement from everyone and everything. Every word seemed to replace a unit of sadness with the extra words floating on the new happiness I had acquired. I hope that through my work, the world will understand love, practice kindness and experience peace. How has your writing evolved over the years, did you do anything specific to make improvements? If yes, please share with us. 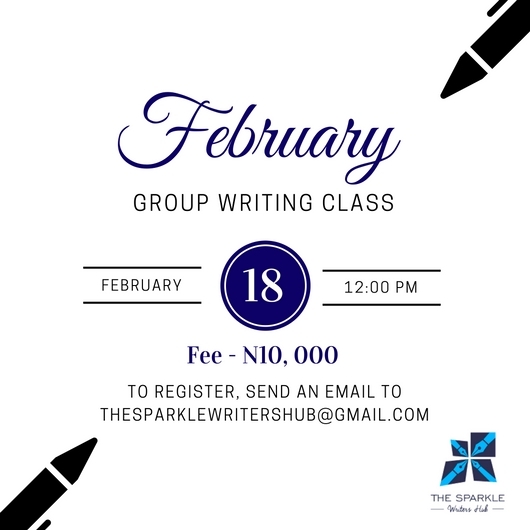 I think my writing has increased in dimensions, originality and creativity because I wrote more often, learnt from works of other writers and availed myself opportunities of joining groups where I could learn more about writing. Do you Google yourself? Please tell us why? Yes, I do that sometimes chiefly out of curiosity about what information the world has about me. If you could be anything in the world, what would that be? I honestly would still love to be me. #WritingQuote – Writers are like dancers, athletes. Without that exercise, the muscles seize up. Exercise the writing muscle every day, even if it is only a letter, notes, a title list, a character sketch, a journal entry. Writers are like dancers, like athletes. Without that exercise, the muscles seize up. Jane Yolen, Author of Owl Moon. Today’s author whose quote we are focusing on today is top notch. Jane Yolen is the prolific author of children’s books and science fiction and has written well over 300 books. Trust us when we say this author is phenomenal. And she advises other writers, including you reading this right now, to exercise the writing muscle. Her advice is definitely valid based on what she has accomplished in her lifetime as a writer. What you write about does not matter. All that matters is that you write not just weekly or monthly but every single day. Think about it. If an athlete forsakes his daily exercise routine for as long as a month, it would tell on his ability to run or jump properly. Usain Bolt would not be all that exceptional if he was not actively involved in daily exercising his muscles. There is no shortcut to being a terrific writer. Writing daily is the surest way. So, dear writer, just write. No matter what the subject of your writing is about, just write your way into excellence every single day. Do not allow your writing muscle seize up and get all rusty. Uberty is a noun pronounced as /ju:b∂ti/. It is used to mean abundance or fruitfulness. It originated from the Latin word uber (rich, fruitful, abundant). Here is how it is used in a sentence. We are loving our #PickOfTheWeek Segment. So many fun writers every week. Today we are featuring familiar and new writers with incredible musings. What we love about these pieces is their ability to help us think and question the status quo with a few words. Whoever said talk is cheap hasn’t seen these ones. If you have ever been tempted to quit Akinrulie Opeyemi Joshua tells you that you are not alone. In this piece, he reminds himself and perhaps you of why he/you mustn’t quit even when others have. Our second pick by Agbo Iyefu is for those people whose love was not reciprocated. We understand you. Dorathy hit home with this one! Not everyone should see your pain, not everyone truly loves you. This is perhaps one of our best for the week, simply because it is the truth. Pain is not always bad. Thank you Okuwoga Temitope for this. Do you know that there is a marked difference between the word Breath and Breathe? It is really simple. Breath is a noun. It is the air taken into the lungs and then let out. Example: The instructor in my class kept on saying, “Take a deep breath” until the end of the session. On the other hand, ‘Breathe’ is a verb. It is the act of inhaling and exhaling. Example: “Stop hyperventilating and just breathe,” she said. Today, we are going to talk about something very crucial; something you cannot do without as a writer and that is creativity. Ever been to an art exhibition or a book reading? What is it that you appreciate about these events – yeah, the CREATIVITY. 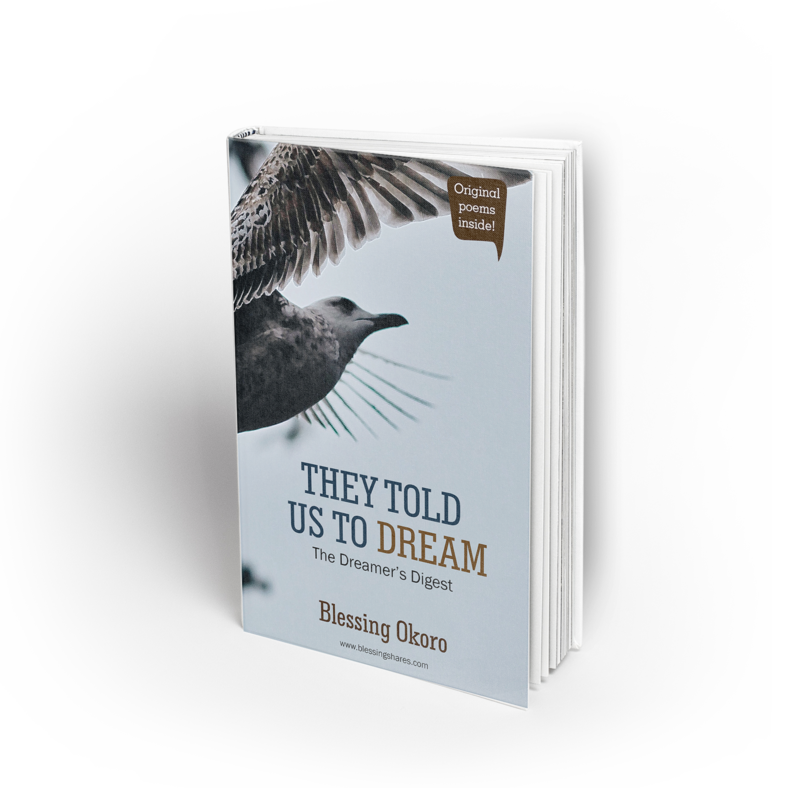 You appreciate the creativity in each of the paintings or the creativity in the way the writer of the book has crafted the words in such a manner as to convey his message in a succinct and striking way. Creativity has an uncanny ability to pull the reader into your world has a writer. Creativity is a transformational skill that writers should not leave behind in their writing. Make conscious efforts to be creative. Creativity has an uncanny ability to pull the reader into your world has a writer. Creativity is a transformational skill that writers should not leave behind in their writing. Make conscious efforts to be creative. For a moment here, we would like to define what it means to be creative. Creativity is not necessarily writing words that have never been written before. Rather, it is saying the same thing in a novel way such that your readers can see the same picture they have always seen from a different perspective. One way in which writers can be creative is in the infusion of metaphors in their writing. Well, for those who are not very familiar with literature and what figures of speech are all about, metaphors are ways of making strong comparisons between two often unrelated concepts. So, for example, if you want to describe the concept of Love, for instance, you might say that LOVE IS A BATTLE. Here, you are comparing the abstract concept of love with the physical concept of a battle so that your audience will immediately get your ideological point of view of what Love is to you in particular. Creativity could also occur in diverse ways such as the manner of ordering or the arranging your words in your narrative or in any piece of writing; it is using the same words in such a way that it causes your audience to see things from another perspective and if possible have an epiphany. We do hope that this article will help you get your creative juices flowing. Blogging is easier when there are tools to help you. We found this incredible app and we are excited to tell you all about it. Have you heard about It is called Buzzsumo? It is an amazing tool for blogging and bloggers. If you have not, you do not have to worry because we have got you covered. According to Mike Gingerich Buzzsumo is a powerful online tool that allows any user to find out what content is popular by topic or on any website. Do you know what this means? You can use Buzzsumo to find out what content people in your niche are interested in or talking about. That’s incredible for any blogger who wants to reach people and build conversations on the web. Who doesn’t want that though? It is an online search and analytics app that works across the main social networks to give your business valuable insights for content marketing and SEO purposes. Buzzsumo identifies engaging content based on what people are sharing the most on social platforms. It can analyze what topics, headlines, and content formats work. We do hope that this tool will help you blog more efficiently and effectively. 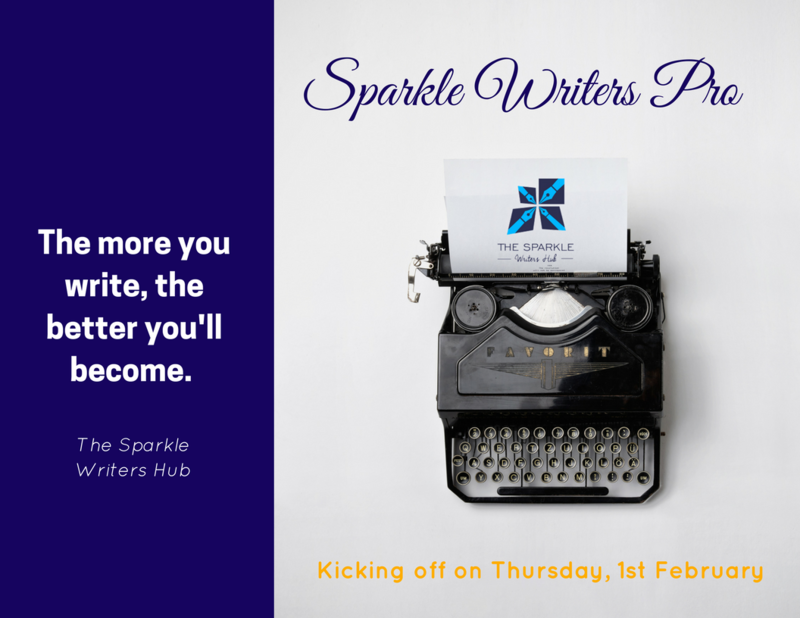 Welcome to another interview series with The Sparkle Writers Hub. Our guest writer is doing so much with arts and we can’t wait to learn from him. Hello Clement. Can you please describe yourself in a few words? I’m Igbor Clement, popularly known by my stage name Clemency Green and online alias ThatPoetClem. I’m a writer, poet, lyricist, event compere, fashion model and a medical student. You are a poet and spoken word artist. How did you develop a passion for these two things? Poetry and spoken word are one and the same. Poetry has a wide variety of forms. Spoken word poetry is simply a kind of poetry that is said out loud. I started writing poetry from my early childhood. I still have poems from my junior secondary school days. I grew up a voracious reader thanks to my parents. My dad has this mighty bookshelf and endless stacks of vintage magazines. My mum teaches literature and I took interest in it as a child (I still read her books). I write prose too. I used to run a number of blogs when I had more time. I still contribute to and serve as an editor for some print and online publications. I took up spoken word as a profession sometime in 2013. In 2014, I contested in a War Of Words National Poetry Slam and finished 3rd. Since then, I’ve gone on to grace countless stages and feature on several radio and TV shows. I released my “official” debut track this year titled “Scars”, and I’m currently working on my E. P. alongside a poetry chapbook. It is one thing to write poems, it is another to perform it for others to enjoy. What skills have you learnt because of spoken word? I agree, writing is one thing and performance is another. However, it starts with the writing. My content has to be very good so I’m constantly editing and re-editing and exploring more and more literary devices. As a performer, I have to bring the words to life before the audience and a lot of work goes into that as well. I have to rehearse regularly; movement, expressions, voice projection, modulation etc. My meagre background in Theatre helps a lot. Recently, I’ve been doing a lot of event hosting and MC-ing and it helps to boost my crowd appeal and confidence. My emotions. Anything that can make me feel, can make me write. Since there are countless things I can feel, there’s almost no limit to what I can write about. However, most of the work I share are about things that affect not just me but others as well. Did you face any challenges in your journey and how were you able to overcome them? A lot. Combining writing, performing and my other interests with pursuing a Medical Degree hasn’t been easy. I’ve had to learn how to my manage my time very well because sometimes, it’s a luxury. Challenges like funding. The spoken word “industry” is still growing so artists are not paid much if they are paid at all. And we need the money. Planning shows, attending shows, recording audio, shooting videos and other media takes a lot of money. Promoting poetry and spoken word has also not been easy but we’ve been pushing, putting the word out there as much as we can. Like I say in one of my pieces, “…the ills that come undone when I drop the mic (pen) and say ‘I’m done'”. As a creative person, what are some of your frustrations with the way art is viewed in Nigeria? It’s not encouraged as much as it should. That’s why no one tells their parents they want to be writers, poets or artists. There would be serious worries about your future. 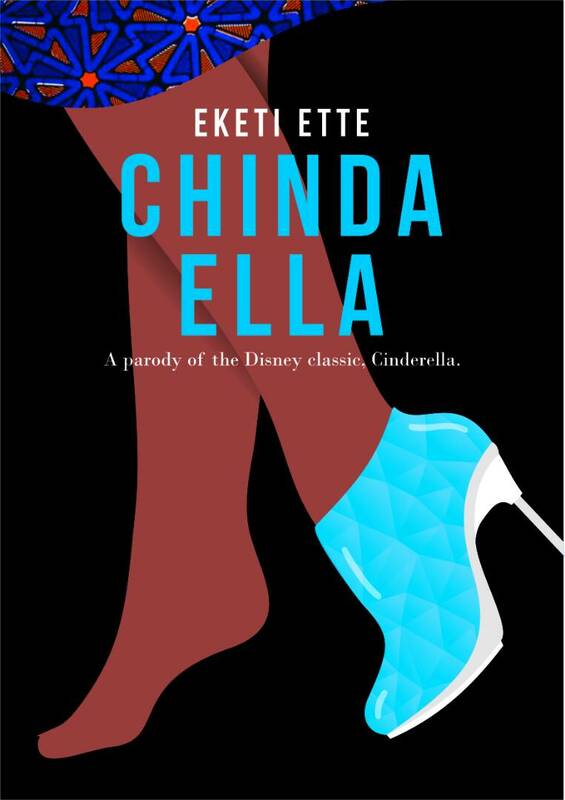 Nigerians do not appreciate art and literature as much as they should, especially financially. Also, the government and corporate bodies hardly give support because it’s not popular enough. Creative people are more often than not taken for granted because people do not understand the amount of time and effort they put in their work. What do you think can be done to change this? I’m thinking too, what can be done? You can’t take everybody through the creative process to see how hard it is. The work just has to speak for itself. I’m putting in more time and more effort so my work will not be taken for granted. Also, you have to value your art for it to be valued too. A lot has to go into branding and promoting as well. Never underestimate the power of words. A writer is a very powerful person and that power should be well utilized. I’ve had feedback and testimonies that I never expected. Inertia. I never understood that term in Basic Physics, but it makes sense now. You just have to start. Anyhow, anywhere, just start. Put that pen to paper, grab your keypads, climb that stage, grab that mic, just start! It keeps getting better after you’ve crossed the Rubicon. The harsh truth is that there will never be “ideal conditions” to write the way you have fantasized about writing. There will always be challenges you have to face. These challenges are what makes your story as a writer interesting. There will never be perfect conditions for writing that book you have always wanted to write. Ask writers who have successfully published a book. Yeah, we know you want to develop yourself and hone your writing skills so you can put words together perfectly, we know you want to wait till you get that brand new laptop you have been waiting for, we know you want to wait till you own a website before writing. And all of these things are good. However, do not make them your excuses for not writing. Seriously dear writer, time is ticking. And even if you get all of these things you so crave for, something else will come up and it will be an endless cycle of waiting until you realize that you and time are no longer buddies. Today’s quote is spot on. Stop waiting for ideal conditions. That is a mirage. Start with what you have right now (yes, even if it is just a pen and a paper); start where you are, and let the words flow out of your heart.